Alexis lets Julian know that Olivia backed off and is allowing him to keep his visitations with Leo. Amy and Nathan are preparing for their meeting with the book publisher. Nina sees them hugging. When Amy steps away, she questions Nathan. He promises that he&apos;s just doing a favor for Amy and that he&apos;s still in love with Maxie. Nelle applies for a job at Kelly&apos;s, but Bobbie refuses because she&apos;s the owner. Bobbie wonders why Nelle hasn&apos;t left town yet because no one wants her around. Bobbie figures it has something to do with Michael and warns her to stay away from him. Nina interrupts to save Nelle. Josslyn complains to Michael that Carly is supposed to be divorcing Sonny. She adds that right now they&apos;re down on the island together. Michael explains that there was an issue that needed to be dealt with, but Josslyn feels Sonny is lying to her mother. Josslyn complains that Sonny will end up hurting Carly again and wants Michael to talk to her. Michael says it&apos;s not up to either of them to direct Carly&apos;s life. Carly and Sonny are on the island. Carly remembers the good times there. Sonny says their meeting has been postponed. Carly accuses him of tricking her. Sonny swears he isn&apos;t, then the two take a walk on the beach. Sam claims she feels better now that she&apos;s slept. Jason sees the knife in her hand and questions her, but she claims it was on the table. A man named Garvey meets with Julian. He says he wants to get rid of Sonny and take his territory. Wait, I think I&apos;ve seen this story before. Julian warns him that it&apos;s not a good idea, but Garvey wants them to team up. Julian mentions that he&apos;s out on bail and is out of the life. Alexis eavesdrops as Garvey claims he&apos;ll deal with Sonny himself. After he leaves, Alexis tells Julian that she heard and that he should do something. Nelle thanks Nina for defending her. She mentions that she needs a job if she&apos;s staying in town. Nina says she&apos;s looking for an office manager. Nelle accepts the job. Amy and Nathan meet with the book publisher, who isn&apos;t interested in what Amy has to say, but she loves everything about Nathan. When the woman steps away, Nathan and Amy discuss how well things are going. The woman returns and tells them that she&apos;s ready to sign the book deal, but needs a photo shoot first. 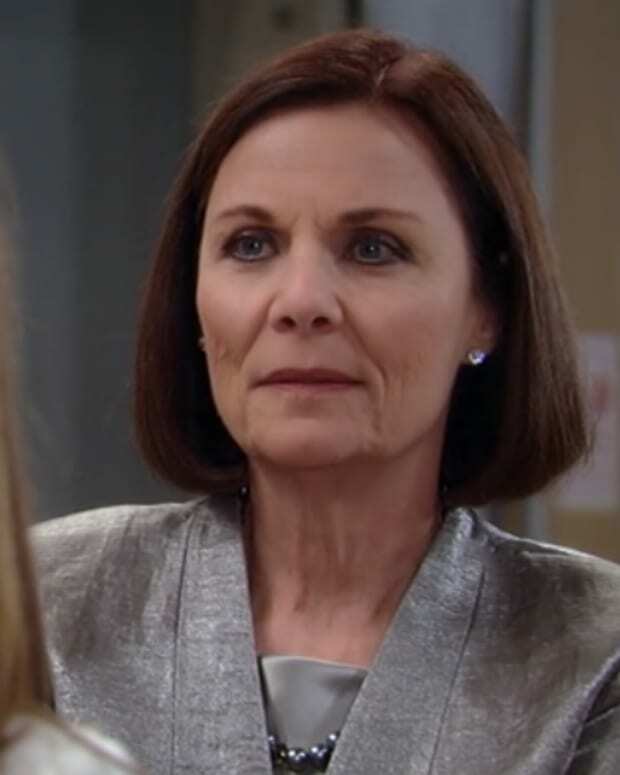 Bobbie goes to Michael to warn him that Nelle isn&apos;t leaving town. She claims Nelle is working an agenda, but Michael says anything that happens is his mistake to make. 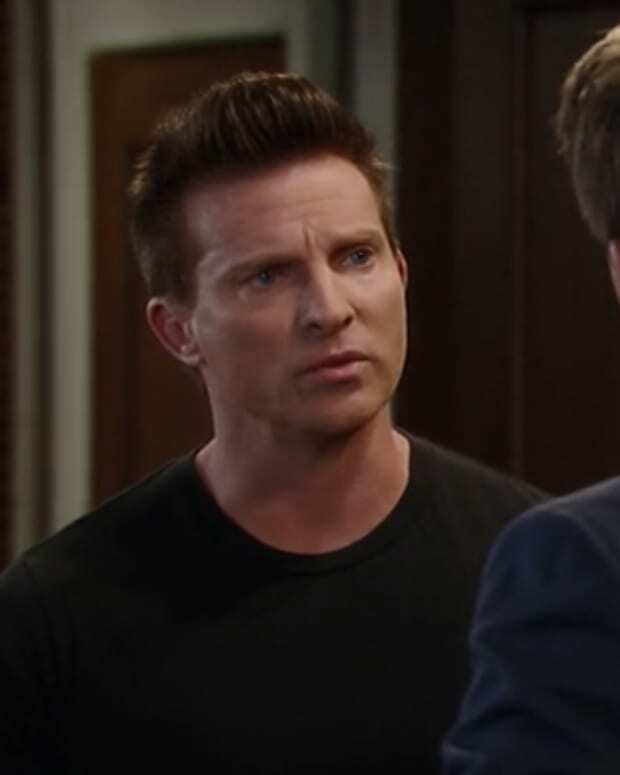 Julian shows up at the penthouse to let JaSam know about the threat against Sonny.